ONE of Australia’s major chains of holiday parks has introduced a novel way of classifying its holiday destinations. And some parks which do not carry the BIG4 name have also been signed up and will be included in the new categories. BIG4, which boasts180 parks nationwide, says the range of "descriptors" will help customers choose the perfect park for their next holiday. Parks are now labelled as Classic, Holiday, Premier or Affiliate, giving guests a much clearer understanding of what to expect. Each will be identified by specific coloured tags on BIG4's website and its future holiday guides. Chief executive Steven Wright said the descriptors would provide "peace of mind" for guests that they have selected the best park for their holiday needs. "We recognise too much choice can sometimes be an overwhelming thing, so we're helping our guests choose the best park for them for their next great Australian break," he explained. "The descriptors identify the differences between parks so guests can select which is best for them. "They can be reassured that the park they choose will provide the quality amenities they're looking for, whether its classic accommodation options in a beautiful natural setting, a full playground for the kids or a range of first-class amenities in resort-style surroundings." Mr Wright said that whilst Affiliate parks would not carry the BIG4 name, they had been selected on their location and experience provided for holiday park consumers. "This provides more choice for visitors to our site and more places for our 185,000-member households to use their BIG4 membership across the country. 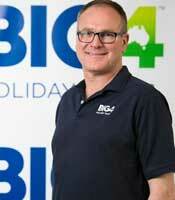 "As leaders in the Australian holiday leisure market we're adapting to the changing consumer trends. 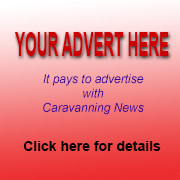 Foremost amongst that is the ability to book the destination they want – whether we have a BIG4 park in that location or not – across all categories of park accommodation, including sites and cabins." Classic parks offer a traditional holiday park experience. They have unpowered and powered sites as well as self-contained accommodation in beautiful and natural settings. They may not have all the bells and whistles of some parks, but they provide clean, quality facilities and great customer service. They are ideal for a short stopover, a road trip or as a relaxing, cost-effective base to explore a region for longer stays. These parks are equipped with a wide range of accommodation and excellent facilities expected from BIG4, like play areas for kids and inviting communal areas with all that is needed for a relaxing stay. Holiday parks boast a vibrant atmosphere and are suited to various budgets. They provide a rewarding experience for families and couples alike. Premier parks have all the facilities of Classic and Holiday parks plus services that go above and beyond. They are great for families searching for fun and excitement, or couples craving beautiful surrounds and high-quality facilities. These parks have been hand-picked by BIG4 and are found in key locations across Australia. Affiliate parks don’t carry the BIG4 name but reflect our commitment to quality and service. They offer BIG4 Member discounts.